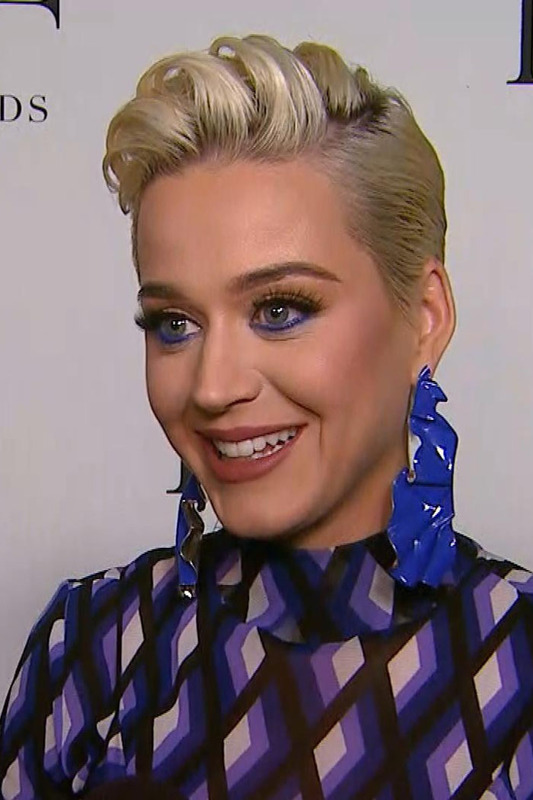 The Award-winning singer, Katy Perry attended the 10th Annual DVF Award on Thursday and received an award for her work as an activist. For the event, she opted for a printed patterned dress. The outfit hugs her body very well and is looking stunning in the blue, black, and white colored dress. The 24-year-old singer accessorized her look with royal blue heels and wabi-sabi inspired earrings. She kept her blonde tresses brushed back into a wave. Her blue eyes and soft pink lips totally rocked the dress. Meanwhile, Diane von Furstenberg was also spotted wearing a shimmering silver-green and white dress. Similarly, Allison Williams wore a V-neck floral dress for the event and teamed it up with black pumps. Coming back to the Roar singer received the award on Thursday night for her work as a UNICEF Goodwill Ambassador and LGBTQ equality advocate. Arianna Huffington who opted off-the-shoulder blue suit with a low-cut neckline handed the award to the singer.